Executive Director Rob Schware talks with Root to Rise founder Katy Jones for The Huffington Post Blog to discover why this Oklahoma City attorney is so passionate about sharing yoga and mindfulness with prisoners and veterans. Click here to read Katy’s inspiring stories of working with homeless veterans, and her tips for teachers who are interested in sharing yoga with underserved populations. 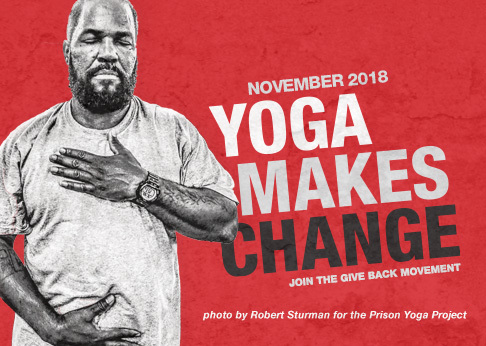 Help Give Back Yoga to put yoga and mindfulness guides in the hands of 10,000 prisoners this year by purchasing Prison Yoga Project’s powerful book, A Path for Healing and Recovery, for yourself or on behalf of a prisoner.